Federal Income Tax: Income from animal sales is the same as other ordinary income and must be reported for federal income tax purposes. The IRS encourages the reporting of any persons who evade income tax liability by offering a reward of up to 15% of the taxes received. Always get a receipt for the price paid for an animal and try to avoid paying cash. Write a check instead. A seller’s insistence on cash can be based on a desire to avoid paying income taxes or even a desire to keep you from having recourse if there are problems with the animal. Never buy an animal offered in a public place, swap meet, parking lot, etc. California Income Tax: The above is also true for purposes of California resident income taxes. California sales tax must be reported and paid by sellers of more than two animals during any year. If you’re buying a family pet (except from someone re-homing a single family pet), ask for the seller’s sales permit number. If the dealer refuses to pay, the most effective way to recover your damages is usually through a small claims court action. Please check with your local small claims court as they can provide information to guide you through the process. This law also requires pet dealers to only have dogs that are at least 8 weeks old and to provide dogs with decent food, water, sanitary living conditions, socialization, exercise and prompt veterinary care. They must also have each dog checked and treated as necessary by a vterinarian before s/he is sold. Dealers must also maintain records of each animal sold for a period of one year. Non-compliance with this law is punishable by a civil fine of up to $1,000 per violation, with possible additional penalties for certain offenses as high as $10,000 and a ban from selling pets for up to one year. Violations should be reported to your local animal control agency and, if necessary, your local district attorney’s or city attorney’s office. You should be prepared to carefully document any complaints with provable facts as government agencies may not have the time or resources to do so. If a breeder is breaking the rules, it’s important that you bring this to the attention of the proper authorities. The animals can’t, and its they who suffer and die at the hands of breeders operating in violation of animal protection laws. Please speak up for those who have no voice. Summary of Polanco-Lockyer Pet Breeder Warranty Act: This law offers protection similar to that of the Lockyer-Polanco-Farr Pet Protection Act, except that it applies only to dog breeders who sold or gave away either three litters or 20 dogs in the previous year. Cats are not covered. Breeders subject to this law are not covered by the Lockyer-Polanco-Farr Pet Protection Act. Cruelty to animals should be reported to your local police or sheriff’s department. In the City of Los Angeles report cruelty to the LA Animal Cruelty Task Force at 213.847.1417. 1. Zoning laws (for example, use of a residence zoned only for residential use to conduct a pet breeding/sale business). 2. Laws on the maximum number of animals that can be at a given address. 3. Business license requirements, including licenses specific to animal sellers. 4. Health and safety rules for animals. 7. Laws punishing cruelty to animals. 8. Other restrictions on animal breeders and sellers. You can learn about these laws and file complaints against violators at the local government agency with responsibility for the subject matter. While complaints about unlicensed breeders and conditions at licensed breeders can be made to the USDA, their resources to deal with violations are limited and legal action against violators is rare. Complaints made under state and local laws are more likely to result in effective action. A Big Thank You to attorney Sandy Ettinger for helping me put this important information together for all of us. This is the ninth posting in a series of messages responding to the recommendations of a so-called “No-Kill Equation”. The “No-Kill Equation” is comprised of ten commonsense, long-standing practices embraced and implemented by LA Animal Services with remarkable results. 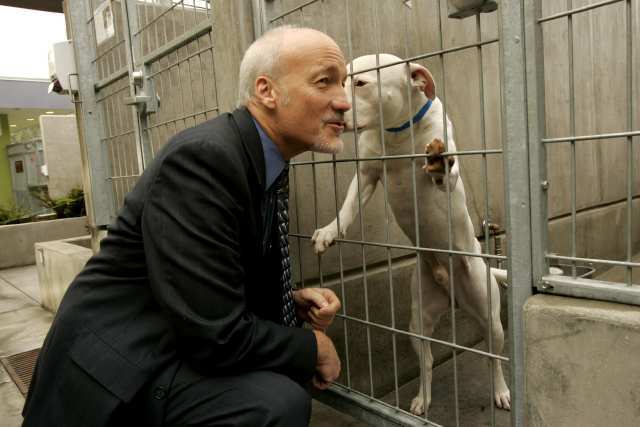 This analysis compares the “No-Kill Equation” to LA’s programs and practices. Today’s message focuses on the ninth recommendation of the “No-Kill Equation,” which is Volunteers. The No-Kill Equation is in this font. The analsys evaluation will be in italics. Volunteers are a dedicated “army of compassion” and the backbone of a successful No Kill effort. There is never enough staff, never enough dollars to hire more staff, and always more needs than paid human resources. That is where volunteers come in and make the difference between success and failure and, for the animals, life and death. In San Francisco, a community of approximately 800,000 people, volunteers spend over 110,000 hours at the shelter each year. Assuming the prevailing hourly wage, payroll taxes and benefits, it would cost the San Francisco SPCA over $1 million dollars annually to provide those services. In Tompkins County, a community of about 100,000 people, volunteers spend over 12,500 hours walking dogs, grooming cats, helping with adoptions, and doing routine but necessary office work, at a cost savings of approximately $85,000 if the SPCA were to pay for those services at the entry level hourly rate. The purpose of a volunteer program is to help a shelter help the animals. It is crucial to have procedures and goals in mind as part of the program. In Tompkins County, for example, the agency required all dogs available for adoption to get out of kennel socialization four times per day. This could not be accomplished by staff alone and therefore volunteers were recruited, trained and scheduled for specific shifts that would allow the agency to meet those goals. It became quickly apparent that having volunteers come in whenever they wanted did not serve those goals and so all volunteers were given instructions and a specific schedule. Ed’s Analysis: LA Animal Services’ 1,076 active volunteers contributed over 150,500 hours in 2007 in a wide variety of tasks, including shelter clean-up, grooming, dog walking, rabbit exercising, adoption assistance and counseling, assisting staff at mobile adoptions, community information booths and special events, and other valuable tasks. According to Independent Sector, a nonprofit, nonpartisan coalition of approximately 575 charities, foundations, and corporate philanthropy programs, collectively representing tens of thousands of charitable groups in every state across the nation, the 2006 estimate for the value of a volunteer hour in California is $20.36 per hour. The 2007 value estimate will be released this spring. Independent Sector calculates the hourly value of volunteer time based on the average hourly wage for all non-management, non-agriculture workers as determined by the Bureau of Labor Statistics, with a 12 percent increase to estimate for fringe benefits. Using Independent Sector’s 2006 calculation for California, LA Animal Services estimates that its volunteers conservatively donated well over three million dollars worth of volunteer service in caring for the animals in its six Animal Care Centers in 2007. Volunteers have always been a vital and valued part of LA Animal Services’ work and the volunteer program formalized with the creation of Volunteers in Service to Animals (VSA) in the 1970s. VSA disbanded in the 1990s and was replaced by an official Department volunteer program headed by an on-staff volunteer coordinator. The overall volunteer program was reviewed during 2007 and recommendations for refinements are forthcoming. The recommendations are expected to focus on improving the volunteer experience and resolving issues that arise between volunteers and staff. A new volunteer coordinator is expected to join the staff early in 2008, filling a void that has existed for much of 2007. This addition will strengthen the program by restoring direct management oversight to a network of hard-working animal care center-based volunteer coordinators. Recruitment of new volunteers is ongoing and will be a priority for the new volunteer coordinator. This is the eighth posting in a series of messages responding to the recommendations of a so-called “No-Kill Equation”. The “No-Kill Equation” is comprised of ten commonsense, long-standing practices embraced and implemented by LA Animal Services with remarkable results. This analysis compares the “No-Kill Equation” to LA’s programs and practices. Today’s message focuses on the eighth recommendation of the “No-Kill Equation,” which is Public Relations/Community Involvement. Rebuilding a relationship with the community starts with redefining oneself as a “pet rescue” agency. The community must see improvement at the shelter, and improvements in the area of lifesaving. Public contact with the agency must include good customer service, more adoptions, and tangible commitments to give the shelter the tools it needs to do the job humanely. Public contact, however, is not necessarily a face-to-face encounter. The public has contact with an agency by reading about it in the newspaper, seeing volunteers adopting animals at a local shopping mall, or hearing the Executive Director promoting spay/neuter on the radio. It means public relations and community education. The importance of good public relations cannot be overstated. Good, consistent public relations are the key to getting more money, more volunteers, more adoptions, and more community goodwill. Indeed, if lifesaving is considered the destination, public relations are the vehicle which will get a shelter there. Without it, the shelter will always be struggling with animals, finances, and community recognition. Increasing adoptions, maximizing donations, recruiting volunteers and partnering with community agencies comes down to one thing: increasing the shelter’s exposure. And that means consistent marketing and public relations. Public relations and marketing are the foundation of all a shelter’s activities and their success. To do all these things well, the shelter must be in the public eye. Ed Analysis: LA Animal Services has aggressively pursued opportunities to publicize and promote its animals, services and activities. In October 2007, the Department received authorization to establish a new, full-time public relations staff position to formalize this effort and enhance its ability to promote its animals and activities. Additionally, the Department has utilized outside public relations professionals to good effect to market special events and adoptable animals over the past two years. The citizen Animal Services Commission provides a unique forum for public dialogue with the Department regarding policies and operations that are integral to the welfare of the animals, and provides opportunities for rescuers, volunteers and the general public to regularly communicate with the Commission and Department at its bimonthly meetings. LA Animal Services’ animals are regularly seen on local television newscasts. Department staff routinely discuss spay/neuter, pet adoption, animal cruelty prevention and other important topics on local television and radio and in local newspapers, as well as meet with neighborhood councils, associations and other organizations to discuss these issues. The pending re-establishment of an in-house public relations staff for the first time since 2005 is intended to enhance the Department’s ability to communicate with both the media and the public. LA Animal Services is receiving a lot of positive feedback to the “No-Kill Equation” series from people around the City and the country who were not aware of the effective programs and remarkable progress LA is making in transforming itself into the nation’s most humane city. This feedback points to a significant departmental need, the expert staff to help effectively tell our compelling story. LA Animal Services is one of the largest and most effective animal rescue organizations in the nation, rescuing between 100 and 200 lost and homeless animals everyday. Many of these animals are rescued from abusive or neglectful situations and are either sick or injured. As a department we are so focused on helping the hundreds of animals in our care at any given moment that we have not always been as successful in sharing these remarkable life saving stories with the community. That will all change in several ways in 2008, some of which I am not at liberty to share right now, but there is one change I can share. LA Animal Services is now actively recruiting to fill a Public Relations Specialist position. The Department has been unable to fill a public relations position since 2005 and we are eager to fill it for all the reasons stated above. The City of Los Angeles launched their animal department nearly a century ago as a humane program. LA Animal Services is the true successor to that humane vision, with our emphasis on re-uniting lost pets with owners, helping people adopt new family pets, enforcing laws that keep animals and people safe, and educating the public about responsible pet ownership and co-existing with wildlife.